Which solution contributes more to web development? Is this the ultimate clash of titans in the ongoing feud to rule the internet? What aspects may be compared and, most importantly, is it possible to clearly state which one will be more beneficial for your enterprise? JS and Node.js consequently, run on the V8 runtime engine, which converts the source into machine code. This enables computers to run the code without first interpreting it. 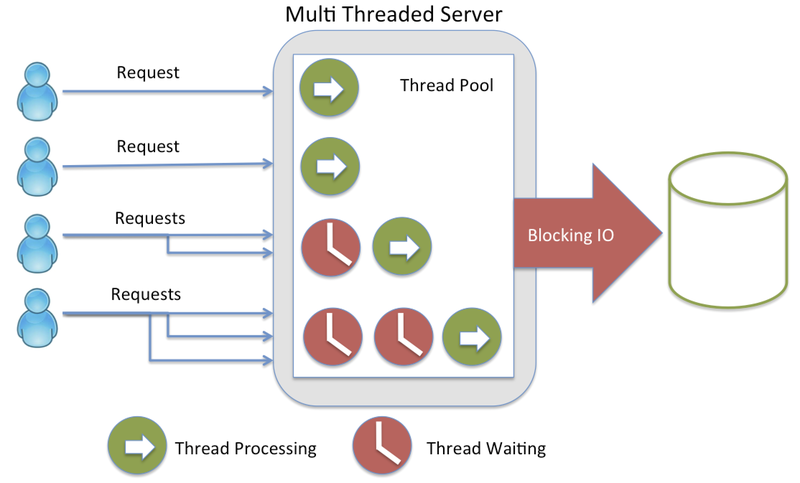 Thanks to non-blocking I/O, the need for multithreading is eliminated as the server handles numerous requests simultaneously. It’s a general-purpose, class-based, object-oriented programming language. Specifically designed to require as few implementation dependencies as possible, making the code easier to understand. Modern Java servers are non-blocking, due to the previous blocking execution being the main criticism factor. Currently, the servers wait for background threads to complete tasks while yielding the control of execution back to the processor. Usually, Java web servers use hundreds or even thousands of threads and execution threads can perform tasks in parallel. Java source is compiled to Java Byte Code and executed by JVM (Java Virtual Machine). Java programs need to be converted into byte code only once and can run on any platform with an existing JVM. Java may resemble some popular web browsers in its never-ending hunger for space, memory and CPU (you know the jokes about Chrome – how much memory does Chrome take? All it can find). Java, in theory, can be used for building an almost-real-time applications, but it’s not a common use. Node.js vs Java: Node.js is faster than Java! Java is faster than Node.js! Is the development speed as much of a hallmark, as companies using Node are indicating? Node.js benefits from its non-blocking ecosystem with over 50.000 ready-to-use modules, written asynchronously. So far, such level of async pattern is outside of reach for Java and as long as it is, it doesn’t matter as much whose raw NIO performance is better in benchmarks. 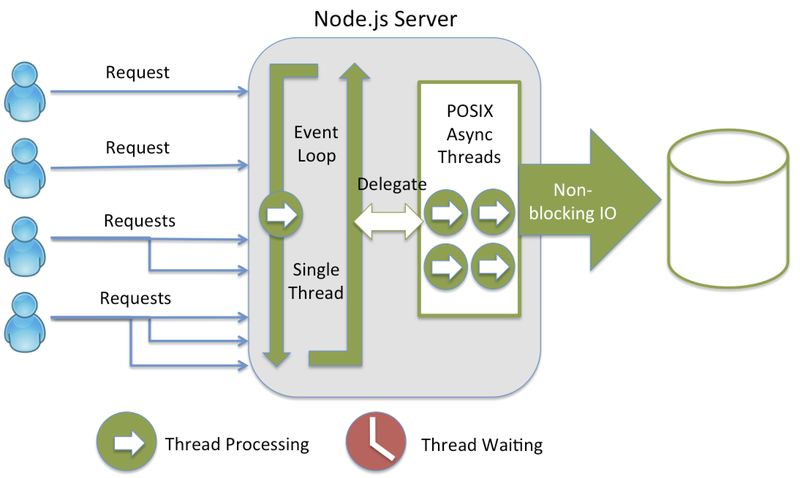 In real-life applications, projects in need of remarkable concurrency will go with Node.js. Using a common language for both client- and server-side enables fast synchronization, which is a crucial factor. Due to this, Node.js is the right technology for all sorts of high performance, scalable real-time applications, starting with games and chat bots to streaming apps, collaboration tools, and other responsive SPAs. Initially released in 2009 and recently gaining popularity, Node is looking optimistically into the future, as there are no indicators it could become obsolete any time soon. Every six months, a new version is released. Moreover, Node.js gets special treatment from Google, the entity behind the Node’s V8 engine. Google won’t permit any features from the V8 team, that could’ve possibly affect Node’s functioning. Java is a more mature, well-established technology that still holds a firm position in web development, but doesn’t seem as beneficial for future, modern projects. Although a slight declining tendency is observable, there are no strong indicators that Java might become obsolete any time. It’s still a relevant technology, especially in enterprise web development. Who wins the battle of Node.js vs Java? Java is used to develop such applications as mobile apps (including Android), scientific applications, desktop GUI applications, middleware products, a wide range of web applications, including front and back office electronic trading systems and data processing projects. Java is the optimum technology for projects requiring a powerful language, able to handle large numbers of calculations, even at the cost of the longer development process. Node.js is suitable for “lighter” projects, however, development of applications requiring handling extensive amounts of data and calculations is possible as well, proven by numerous success stories. Node.js enabled, among others, PayPal to double the number of requests served per second, while at the same time decreasing average response time by 35%. Node and Java aren’t strictly the same and exact comparisons between these two, based only on benchmarks, won’t be conclusive. Comparing solely their performance, without a broader understanding of the process and concurrency models will not bring the answers you’re looking for. In order to find out which of these platforms will bring the most value for your project, look further than just the performance. One of the key factors is the surrounding ecosystem and community support, and in this matter both Node.js and Java are perfectly backed due to their popularity and years of development. Still not sure if Node.js could be the best technology for your future project? Let’s meet and choose the most efficient stack.